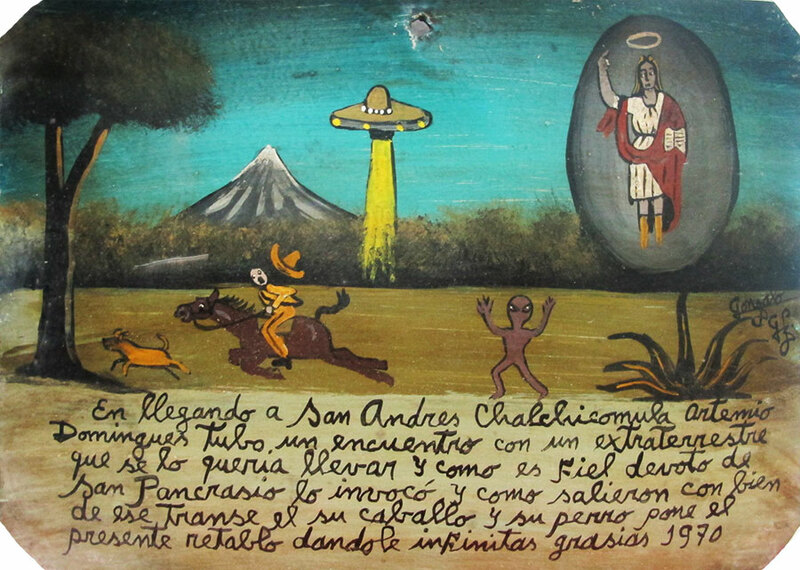 At approaching San Andres Chalchicomula, Artemio Dominguez met an extraterrestrial who tried to abduct him. 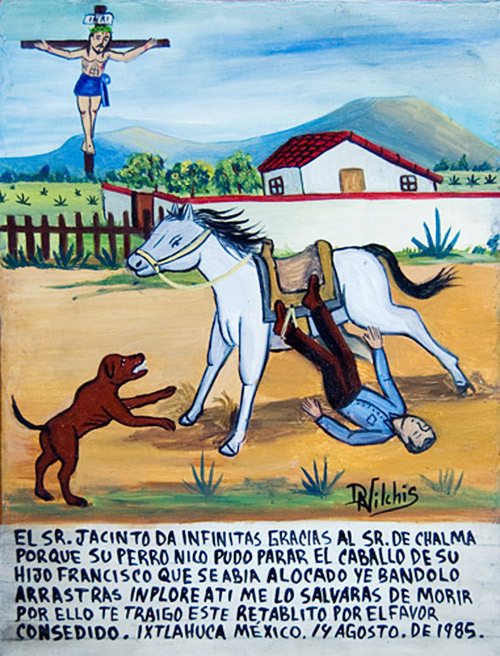 But since Artemio was faithfully devoted to Saint Pancras, he implored the saint and could escape, along with his horse and dog, from this horror. 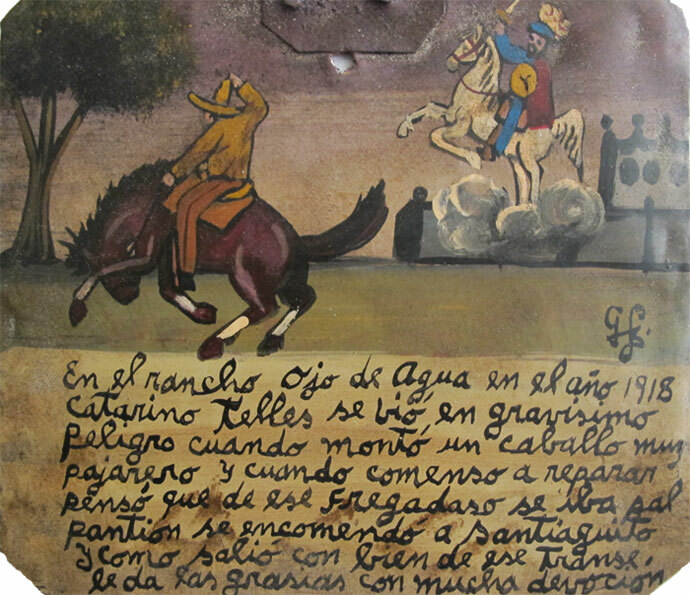 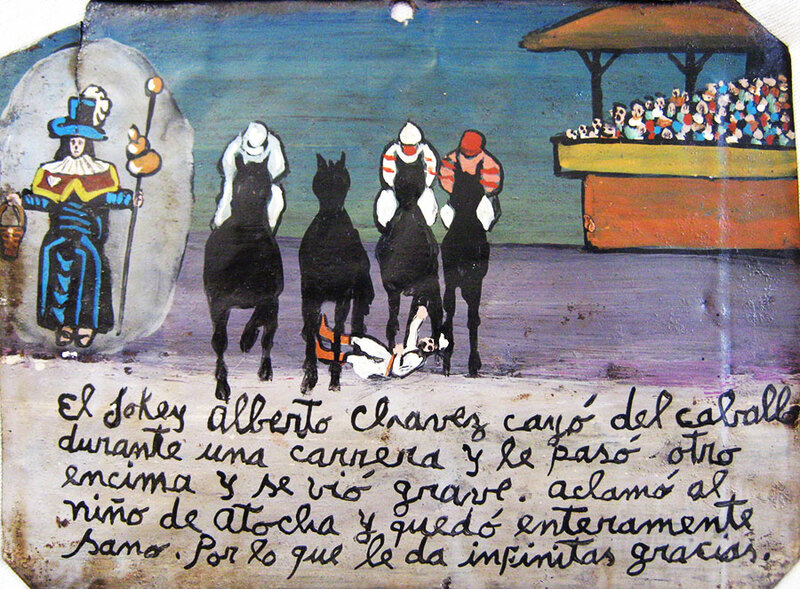 He brings this retablo thanking for that. 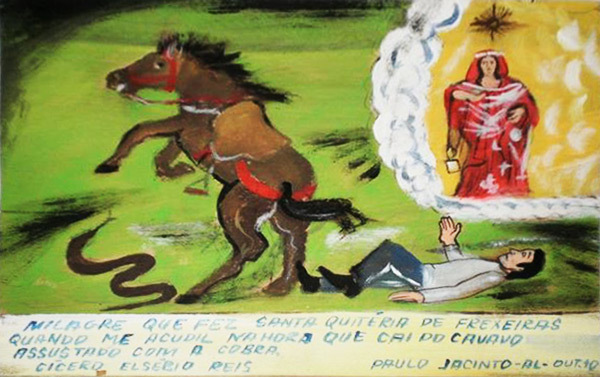 It was a miracle by Saint Quiteria of Frexeiras who helped me out when I fell off the horse which was scared by a snake. 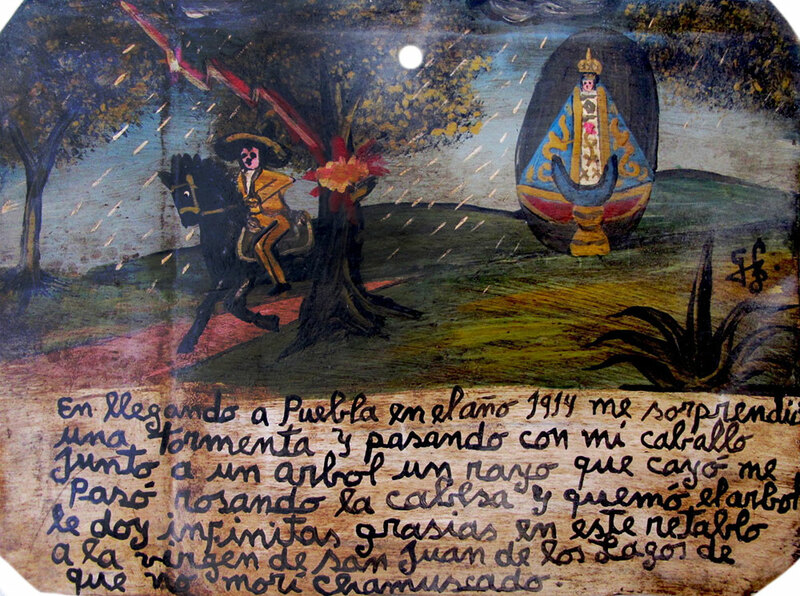 1914, I was caught in a storm on my way to Puebla. 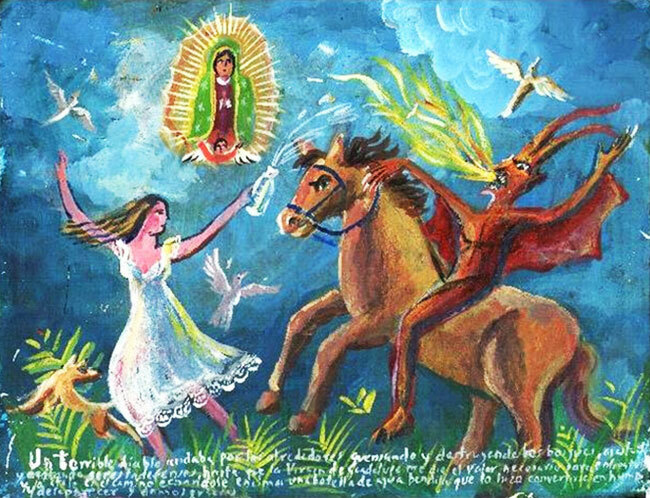 I was riding my horse near a tree, and a lighting hit it right over my head. 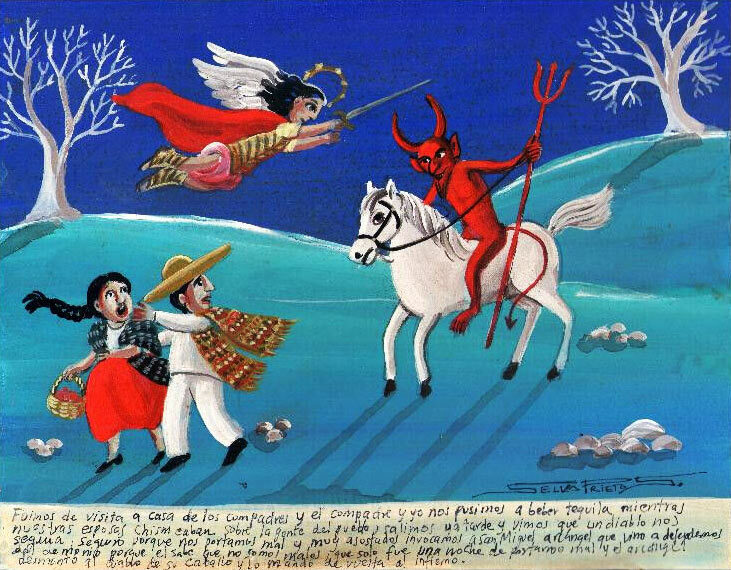 The tree got on fire. 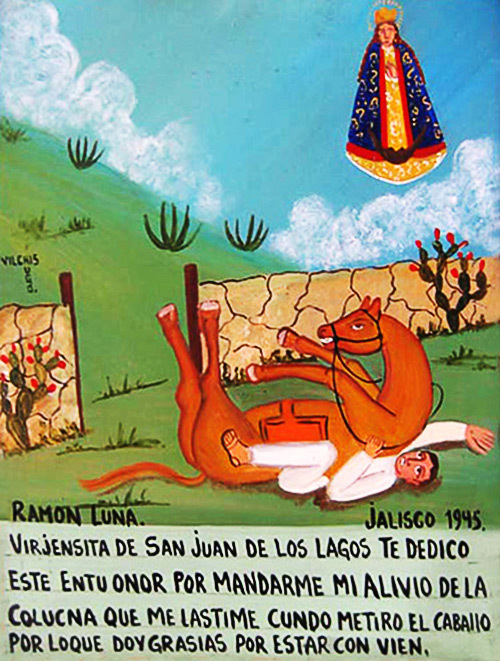 I thank the Virgin of San Juan with this retablo for I didn’t get burn alive. 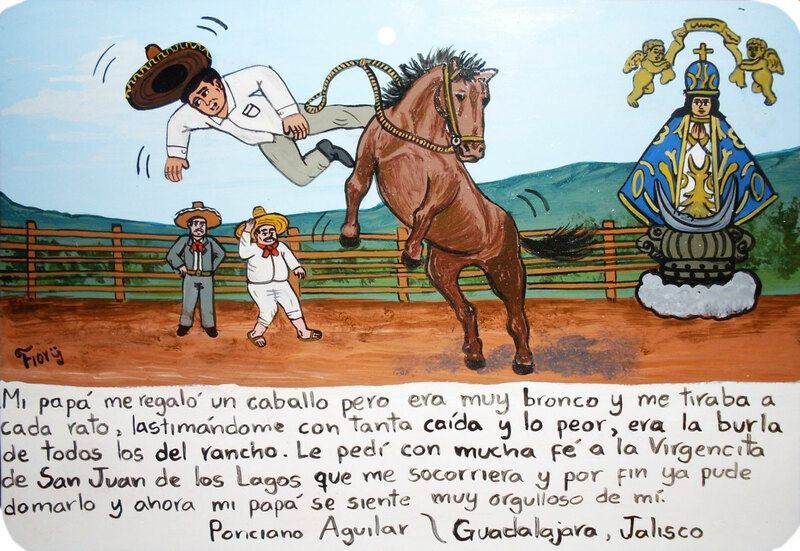 1918, at the Ojo de Agua ranch, Catarino Telles found himself in a serious danger when he mounted a very nervous horse. 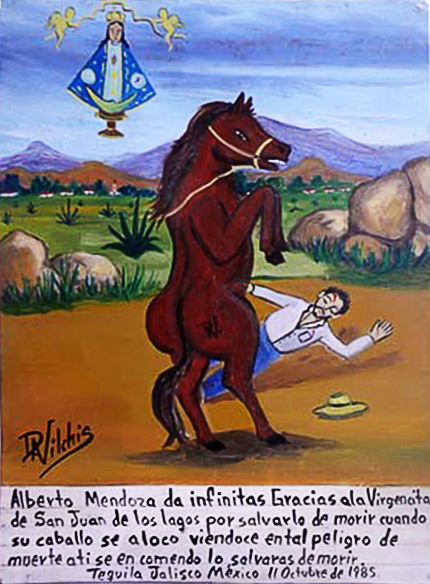 The horse was rearing and Catarino was thinking he would end this ride at the cemetery. 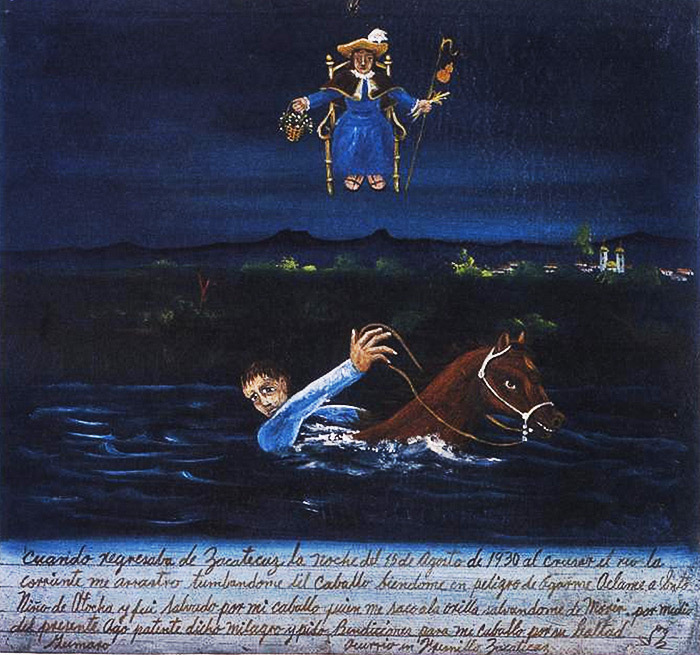 Then he entrusted himself to Saint James and could escaped safely from this race. 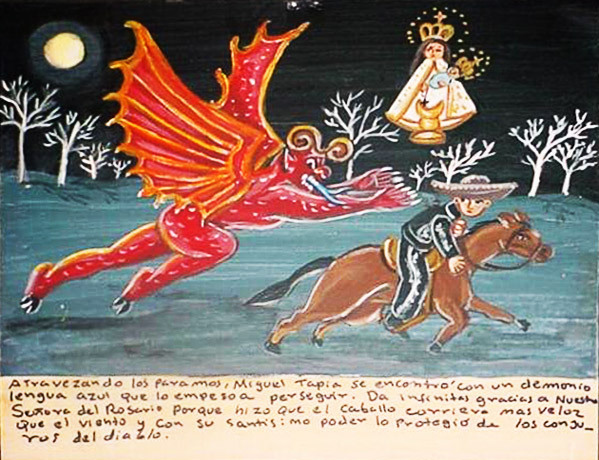 He thanks with big devotion.